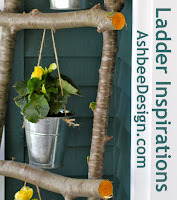 Yesterday I finished up my series of posts about using ladders in decor. There are so many wonderful ideas out there that it is easy to get the creative juices flowing just by studying the vast variety. I look for commonalities for posting and then collate the collection here in an overview page to provide a quick resource for you in the future. 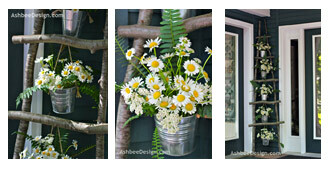 Visit regularly and link through to the various posts looking for ideas, and then create! Be sure to send me photos of your projects involving ladders. I'd love to do a post showing what this has inspired. Suspended over islands as pot racks or for holding dishes, check out various kitchen applications. Works wonderfully as a towel rack. Works just as well outside, in the garden. 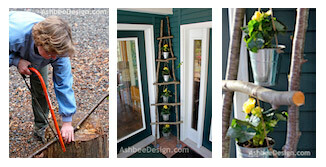 Use ladders for storing accessories like shoes, jewelry and scarves. Here are examples of ladders being used for displays in other areas, living spaces, windows, etc. Consider using a ladder as your christmas Tree, Halloween display, or even 4th of July! 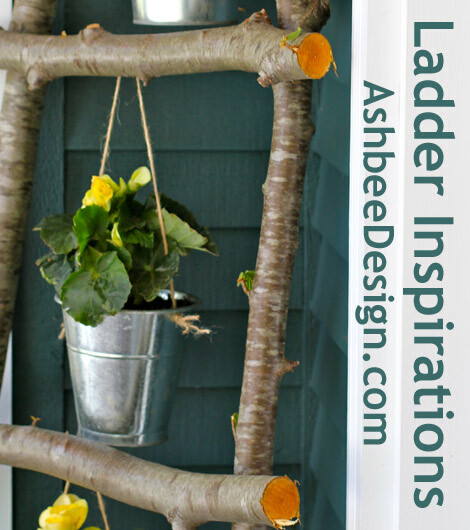 Here are some great ideas for using a ladder in place of a book shelf. This post is step-by-step instructions on how I made a ladder from tree branches for my front entry. This was a quick, easy project! I changed the ladder presentation for June using daisies and ferns. 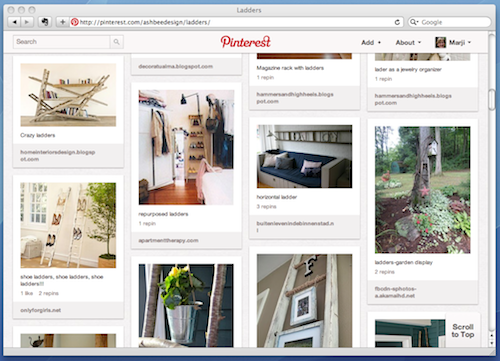 I have been building an entire board devoted to ladders in décor on Pinterest. If this is an interest of yours hop over an follow that board located here. This is my second in-depth theme exploration designed to provide you with a resource for inspiration. 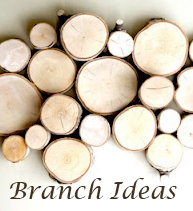 Check out my first one on branches here. This post is being shared at the following link parties. Visit them for additional ideas!